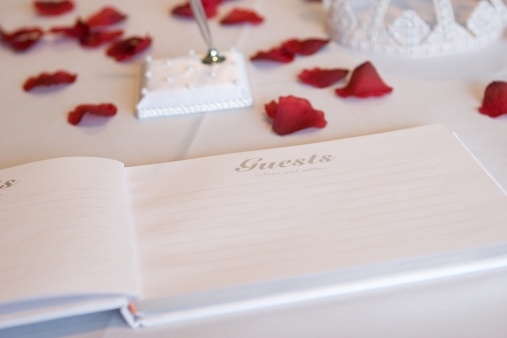 It should be a simple process inviting our nearest and dearest to the most important day in our life, but making a wedding guest list can be tricky. With seating spaces and the budget often dictating how many guests to invite, the final draft may suit the venue but cause offence to those not invited. With economics and emotions often causing discord when it comes to planning the guest list, the temptation to give up and get married abroad may prove the most desirable option. However, sitting down and considering a few important factors may help when making those all-important guest decisions. List all of the people who are important now and those who have been a part of past lives. A wedding should be a special day and shared with those unique people who have helped shape our lives. Close family is obviously a must on the wedding guest list. There may also be more distant family or friends, who have helped to contribute towards the wedding, whether it is financially or by giving moral support. Consider the size of each other’s families. Is one distinctly larger than the other? Instead of inviting distant relatives to even up the guest list, consider inviting mutual friends instead. Look into the future. There may be different people required to give support in this new phase of life as part of a pair. Inviting such people could cement that support. If it is still proving difficult to narrow that guest list down after considering these factors, perhaps it may be time to re-consider the size of the venue or whether to restrict the guest list to just family and close friends. Another popular option is to hold an after-wedding party for all those excluded from the special day.